Theater roles include Lili in Carnival, Hodel in Fiddler on the Roof, Hope in Anything Goes, Luisa in The Fantasticks, Zorah in Ruddigore. Opera credits include roles in Carmen, The Marriage of Figaro, and Amelia Goes to the Ball. Ari has performed off Broadway in On Second Avenue, as a soloist at Carnegie Hall, Lincoln Center, Kodak Theater and the Disney Concert Hall, and sang the national anthem at Dodger Stadium, the Home Depot Center, the Staples Center, and at the 2015 Jewish Heritage month presidential address. Performances with the Folksbiene Yiddish Theater include Di Kishifmakhern, Akeydes Yitzkhok, Motke Ganev, and Mames Loshn Kugl. Arianne wrote, directed, and performed a show entitled The Enchanting Tale of the Yiddish Theater at the Ida Kaminska State Theater in Warsaw. She directed and performed in productions of Yours, Anne and From Death to Hope. She was a featured performer at the Krakow Jewish Music Festival, and a faculty member of Klez Kanada. Movie credits include a role as a jazz singer in Reunited, and appearances in One Hundred Voices: A Journey Home. 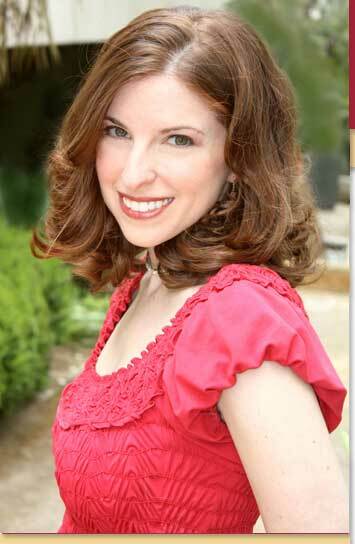 Arianne was featured in the Cantors Assembly’s The New Faces of the Cantorate. Ari was the author of an advice column entitled Tayere Khaznte (Dear Cantor) for the Forverts. Her trio, Ashira, released an album entitled Suddenly Spirited in 2008, featuring many original compositions. Arianne’s solo album is– Eternal Flame: A Yiddish Love Story, and on behalf of Adas Israel, she produced a children’s recording entitled Shabbat Sing!